Should We Wisecrack the Zodiac? By Daniel Greene - Lifestyles Editor · March 20th, 2019 at 5:03 p.m. Despite its lack of scientific credibility, astrology enjoys a special place in the hearts of innumerable people, and oddly enough, many of them are millennials. Astrology seems to be enjoying a sort of renaissance among millennials today, and its popularity is being helped along by an internet culture that loves to both venerate and mock this millennia-old pseudoscience. YouTube videos that explore the essence and validity of astrology, such as this one by Cut, regularly garner millions of views and incite tens of thousands of comments from believers and skeptics alike. Similarly, memes that appeal to those afflicted by Mercury’s nasty habit of going retrograde abound on popular Facebook pages, such as YourTango. While it can be tricky to accurately gauge the number of people who actually believe in astrology or accept its predictions as fact, Nicholas Campion, astrologer and senior lecturer at the University of Wales Trinity Saint David, puts the number between twenty-two and seventy-three percent of the population: a large, if not wildly vague, group of people. But what exactly is astrology? For many, the inability to precisely define it is part of the problem. Simply put, astrology attempts to draw connections between the movements and locations of celestial bodies—such as stars, planets, and moons—and the affairs of people on Earth. 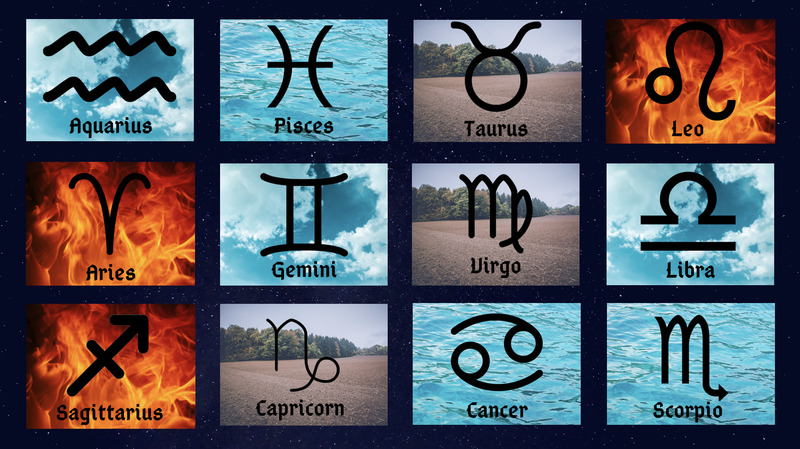 Popularity aside, however, it is important to keep in mind that astrology is a pseudoscience; its claims are infuriatingly untestable, it lacks falsifiability, and few among its community can agree on how to integrate the relatively new, and properly scientific contributions of astronomy into the picture. Take my star sign for example. An astrological chart would tell me that when I was born on April 15, 1995, the sun was in the constellation Aries. My sun sign, therefore, would be Aries, meaning I am courageous, determined, and confident, but also moody, impatient, and short-tempered. The same is said to be true for all people born between March 21 and April 19. But there’s a problem. This ‘wobbling’ that Hines talks about is a phenomenon called precession, and its existence casts doubt on many of the astrological ‘truths’ we take for granted today. But precession isn’t the only phenomenon that confuses things. There’s also the issue of timing. Again, the same could be said of me. Had I been born five days later, I would be a Taurus: smart, honest, and stubborn. But alas, fate would have it that I be born a hot-headed ram. Of course, all these problems can be swept away. Some point out that astrology does not follow the same rules as traditional science, meaning cause and effect relationships cannot explain sun-sign-related personality traits, and that astrology is based on synchronicity, not causality. Others will say that people born on the cusp of another sun sign actually share traits with both signs. Evidently, there are endless ways to explain away the many problems that face astrology on its path to legitimacy. But perhaps I’m missing the point. Maybe I’m taking astrology way too seriously. Perhaps Julie Beck, Senior Editor at The Atlantic, got it right when she wrote in her piece on astrology’s popularity among millennials, “A combination of stress and uncertainty about the future is an ailment for which astrology can seem the perfect balm.” Astrology offers a world of easy truths that seem unattainable in a world where Donald Trump is the president of the United States and the fate of the environment is anything but certain. Perhaps there is something soothing about bonding over the havoc wreaked by Mercury’s retrograde motion rather than that of people in positions of great political power. Whatever the draw, one thing is for certain: astrology is here to stay.